May 21, 2016 May 15, 2016 by Beau H.
A blazer that’s built with the quality and construction of a rain jacket. So, are you just about set with your spring style wish list? Yes? No? Maybe? The great thing about keeping a diligent eye on the #menswear community is that it’s always neat to see how brands are taking more traditional silhouettes and pieces — like that of the classic navy blazer — and turning them on their head from time to time. Take the Grayers Exmouth Nylon Blazer, part of a solid line of spring outerwear from the brand. It’s the ideal example of the ways in which brands are introducing products that meet the active lifestyles of lots of customers — and this piece looks a heck of a lot better than some other active, athleisure-inspired looks. That’s because it retains the traditional features of the blazer, right down to the flap patch pockets, three-button front and space for your pocket square, and yet, it’s crafted from lightweight nylon. It’s part rain jacket, part blazer and would stylishly complement just any outfit you can think of — including some of the picks on this Spring Style Essentials list. In fact, it’s got something else on other, more classic blazers. It’s practically built for a commute, especially if you need to hop on your bike (and seeing as May 20 was National Bike to Work Day, that just makes sense). It’s got all the touches of the traditional blazer, including the casual flap patch pockets and room for a trusty pocket square. And should it happen to rain or get breezy this spring, you’re more than covered there. Have I mentioned that it can be packed into its own drawstring pouch? Because it can do that, too. It’s especially suited for travel, be it by train, plane or automobile (sorry, had to). The lightweight nylon should prove comfortable for moving inside and outside, and it would smartly finish off even something as simple as a natural pocket tee and slim khaki chinos. Plus, throw in some sharp suede derbys and you’ve got a look that’s both office and commute-ready. And it would look particularly sharp with a classic white Oxford, yet again, it’s got the functionality of a rain jacket. 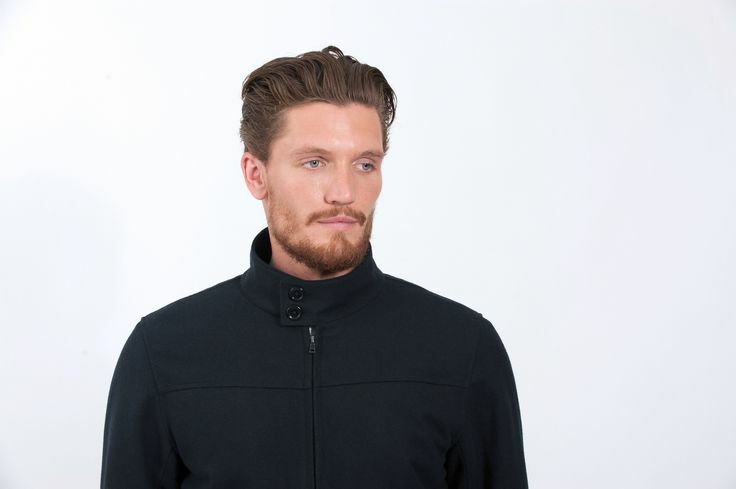 The price is pretty agreeable considering you get two jackets for the price of one, and it’s just the right piece of outerwear to rock through spring, into summer and even into early fall when layered right. That’s not bad for just one jacket, right? What do you think of the Exmouth Blazer? How would you style it? November 7, 2015 November 6, 2015 by Beau H.
The popular watch brand tapped the equally iconic team at Golden Bear for this bomber. If you swung through this very small piece of the blogosphere pie a few weeks back, you might recall the jacket you see here from the Best Men’s Fall Jackets feature — but we’re back again. And that’s simple — both in-person and even online, it’s pretty neat to see how Shinola is evolving its product selection, which now includes some sweatshirts. 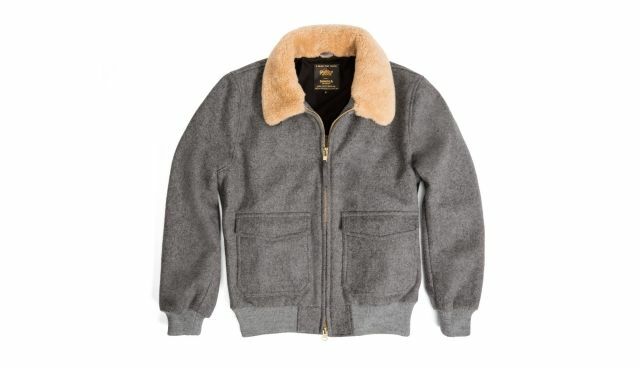 The American brand probably better known for its crisp, classic watches prides itself on its commitment to homegrown partnerships, so it was a smart move to tap the expert jacket makers at Golden Bear for this wool bomber. Beyond this viewpoint, it’s simply a great (and yes, expensive) piece of outerwear if you find yourself frequently trekking through the snow and slush. It plays off a classic masculine silhouette, the A-2 bomber, and features premium details like leather trim and a sturdy brass zipper. It’s these little details — plus the overall excellent look — that make it worth that price tag. 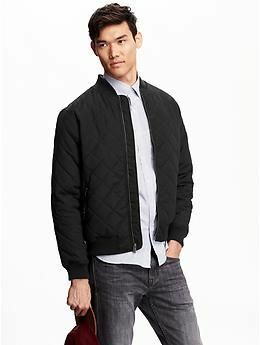 On the less expensive end of things, you could always snap up another shearling bomber via JackThreads. It’s also available in Black, although the Grey color still works plenty well for fall & winter. But back to this Shinola number. On top of those other details, the authentic sheepskin shearling collar buttons at the throat too, in case it gets insanely cold. 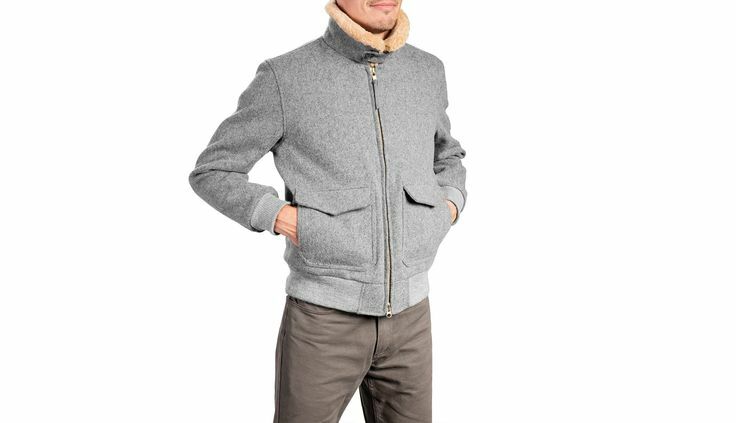 The Melton wool should also keep you extra warm. There’s no word yet on how these jackets fit, but from the looks of it, they’ll feature a modern, contemporary fit that still leaves room for layering. Keep in mind that once you get past all the bells and whistles, this jacket can be styled like even a more basic light grey peacoat would. 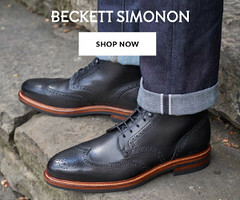 It’ll add a terrific amount of texture to dark denim and some crisp leather sneakers, and you can certainly dress it up with some navy trousers, brown leather wingtip boots and a light blue dress shirt. And with a long-sleeve henley and some corduroys, you’ll have the perfect high-low combination for weekend adventures. Given the investment-worthy nature of the price, you’ll certainly want to wear it as much as possible. 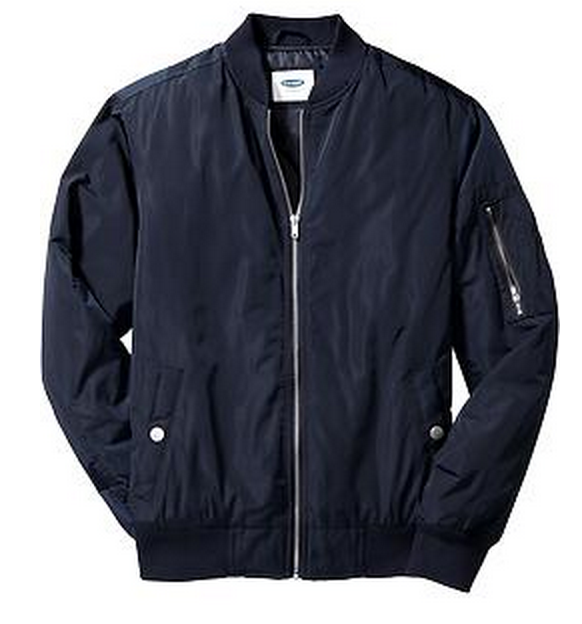 Are you a fan of this bomber jacket? Would you invest in this piece? 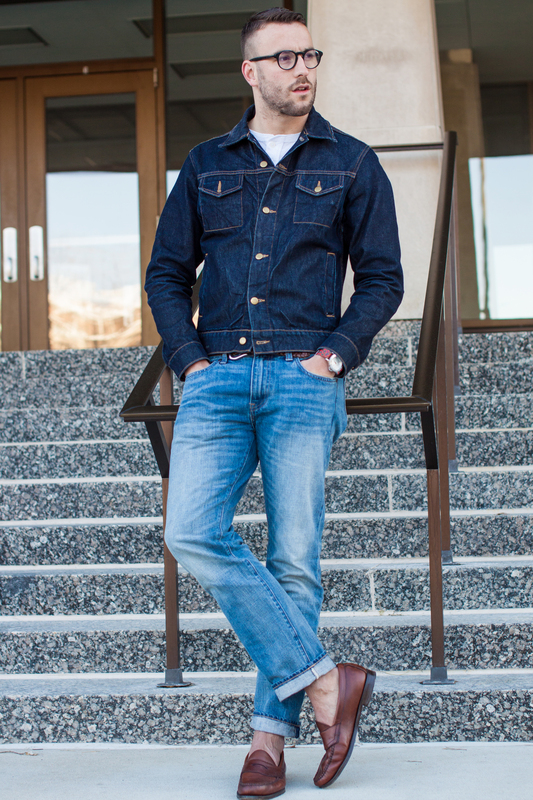 March 26, 2015 by Beau H.
A spring essential — the denim jacket. From American Apparel. Printed shirt by Express. Loafers by Bass. Glasses by Burberry. Photo credit: Khoa Nguyen. If you don’t have a spring jacket in your closet yet, now’s the best time to pick one up (weather-wise at least — pricing can leave a lot to be desired for some options). And even if you do have a spring jacket, there’s a different piece of outerwear that you could add for an extra dash of rugged style — the denim jacket. Once a punch line for some questionable outfit choices in the ’90’s, the denim jacket is definitely cool again. It’s sturdy and up for anything, to boot. The denim jacket can also be styled with an equally rugged henley, like this one from Mossimo. Loafers by Bass. Patterned watch strap by The Knottery. It’s been a big outerwear piece as far as spring fashion goes for the past few seasons, and it’s certainly not going away. This post from last spring (complete with more photos) dives into the style itself and just how to wear it, but in the meantime, know that it pairs well with, well, mostly anything you throw at it. It’s an awesome blazer alternative over a buttondown, knit tie and chinos. It looks right at home atop some slim grey jeans and a white henley (more on the brand in the link there later this week). And it’s casual enough to look at ease when worn over a popover or crewneck T-shirt and yes, shorts. Finally, it can absolutely be worn with jeans on the bottom — but if and only if those jeans are in a contrasting wash. That’s not a hard and fast rule, per se, but it helps you avoid the dreaded Canadian tuxedo. As long as it’s cut relatively trim (not baggy), it’ll definitely work. And although some pros can pull off a lightwash denim jacket, a dark denim jacket is the best place to start. 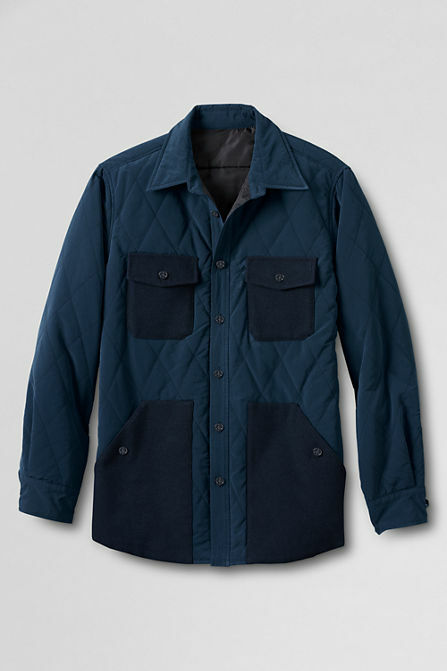 Of course, if you want even more rugged outerwear, you could also throw on a waxed chore coat for maximum durability. 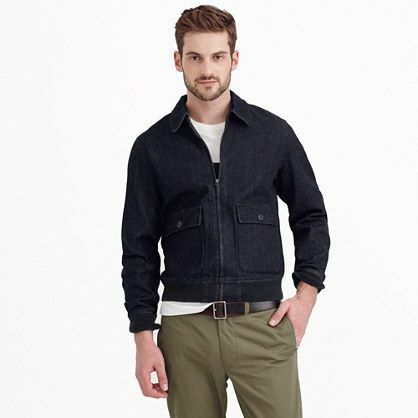 On the left: GAP’s Japanese selvedge jacket. On the right: A.P.C.’s pricer take on the piece. As a matter of fact, venerable iconic jeans maker Levi’s is selling just the perfect jean jacket right now for a mere $47. 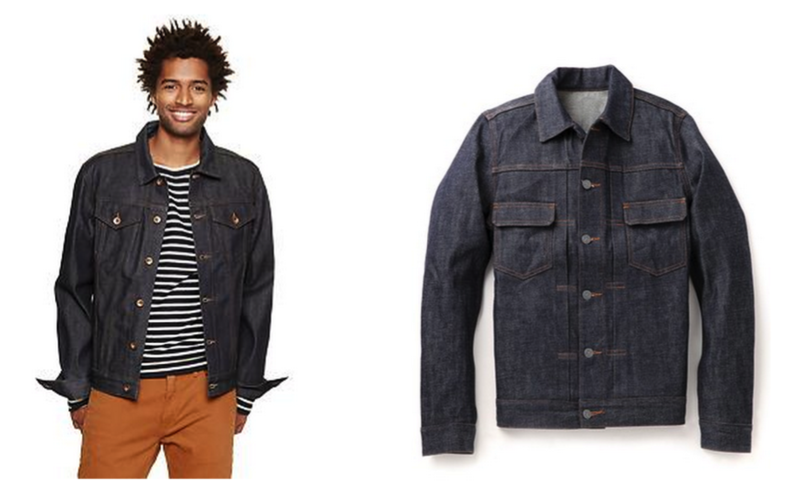 American Apparel — despite the brand’s woes — also makes a great denim jacket for just north of $120, while GAP makes a Japanese selvedge version for about $85 on-sale now. If you just got your tax return back and feel like blowing some cash, A.P.C. 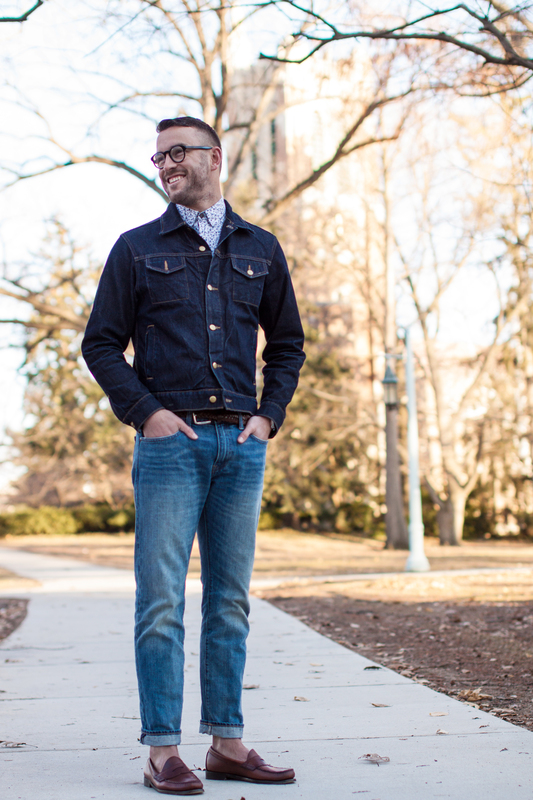 is making a raw denim jacket, too.Those are all great places to start — and with spring just blooming, there’s plenty of time to hit the streets in denim. Do you have a denim jacket? Which of the above options caught your eye? How would you wear it? October 17, 2014 October 28, 2014 by Beau H.
Last week was a departure from regularly-scheduled programming on Siblings With Style, as I shared with you a profile on a fast-moving start-up company, Linjer Leather Goods (who has now raised a whopping $71,240 of its initial $50,000 goal). But this week, we’ll get back to the basics — and back to the bottomline — with the final part in an ongoing series on rebuilding (or adding to) your wardrobe on a budget. While previous entries have tackled dressier items, casual knits and basic footwear, this week will wrap things up with the details that can sometimes be most important — your accessories. Read on and prep your shopping cart for a budget-friendly revamp. A classic silhouette at an affordable price. For one of the more essential accessories a guy can have in his wardrobe, we turn once again to Old Navy, a store with a history of providing polished basics at affordable prices. They’re a great place to go to for easy-wearing knits, and the same proves true of their classic bomber jacket. It’s a piece that’s absolutely on-trend at the moment, while also being utterly classic. 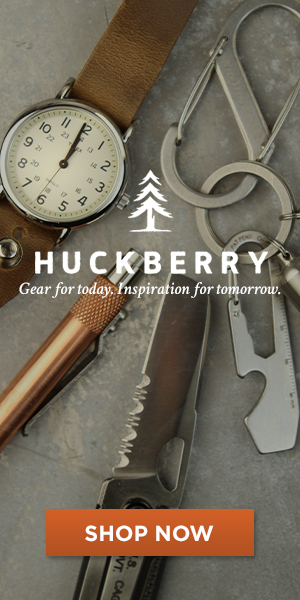 The ribbed cuffs and trim silhouette aren’t overly flashy — just straightforward and reliable. While it would also be useful to diversify your offerings with, say, a more rugged denim jacket or a dressier belted trench coat, starting out with a classic piece in an easy-to-match color makes a lot of sense. This particular silhouette is a lot like the classic Harrington coat, but this option is a lot more affordable. Dressy? You bet. Casual? Works there, too. While a lightweight jacket like the above option can get through at least two (or three) seasons of the year when taking the right approach to layering, there are times where something more polished-looking (and slightly warmer) is required. 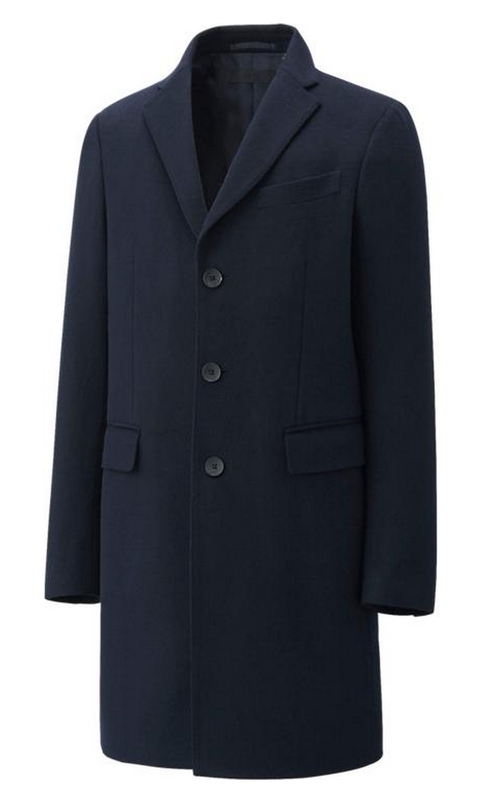 Uniqlo’s topcoat has been popular across the blogosphere for a while now, and it’s a solid option for a piece that can work over a variety of outfits. It’s long enough (and dressy enough) to cover blazers and suits, yet it can (and should) be worn casually, too (see No. 1 on this list for more on that). Although it’s not the warmest of coats (at least according to some reviews), it should be fine when layered properly (think dress shirt, sweater, blazer, topcoat, if it does indeed get extra cold). Again, this isn’t necessary the only coat you should have in your fall or winter wardrobe, either (a workwear-inspired coat might also be nice to have), but it’s one heck of a versatile jumping-off point. Assuming that from this wardrobe rebuilding (or revamping), you’ll be incorporating both black and brown shoes into your wardrobe, belts that match both those shades are a definite must. And if you’re already an old pro at creating fail-proof outfits, it never hurts to find out a low-budget alternative to cheaper belts, right? Old Navy again and again offers surprises in the #menswear department, especially these belts. Available in black and a middle-of-the-road brown (with an eye-catching gold buckle), either would work well for business casual wear or even more dressed-down outfits, particularly at 1 1/8″ wide. Scoop up two now for a total of about $20 and you’ll be set for dozens of outfits. A timeless frame with military history. It’s tough to argue with something as classic as an aviator silhouette, especially the choice above. They were James Bond’s sunglass of choice in his most recent outing, and they’ve gained notoriety plenty of other places, as well. They look good on a variety of face types, they’re wearable with casual and business casual outfits, and they’re a style that won’t be going away any time soon. 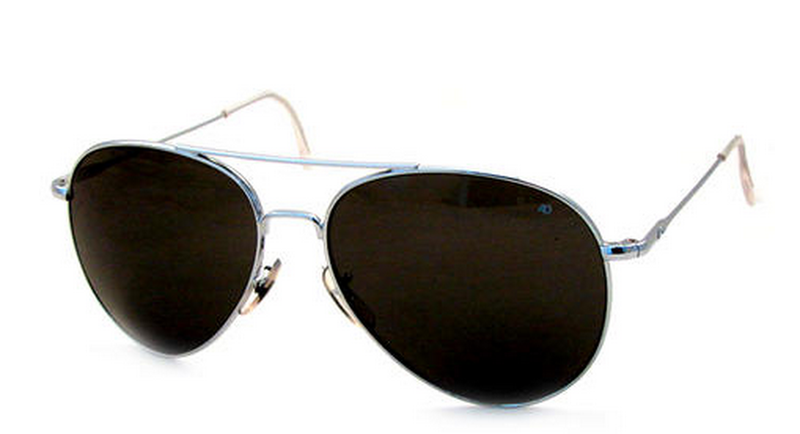 If these aviators don’t strike your fancy, J. Crew Factory offers a rose-gold aviator option, as well as other sunglass styles for even less than the pair pictured here. 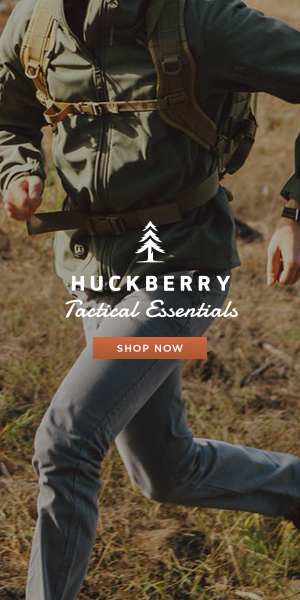 Although the price tag might be a little misleading (cheaper generally equals lower-quality), this company’s the real deal — a military supplier with pedigree, and more affordable than Warby Parker or Ray-Ban. Rolex Submariner styling for thousands less. It’s true that not every man needs a watch, or wears a watch, for that matter. But it’s an accessory that can set one apart for those same reasons. In an age of so much digital technology, there’s something comforting about a solid, sturdy wristwatch. 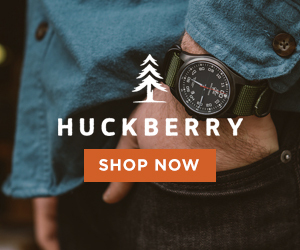 Since loading up with several watches is something of an aspirational, long-term goal, the focus here is on one timepiece that, like the rest of these offerings, works for both casual and dress situations. A silver dive watch fits the bill perfectly — it doesn’t need to be matched with black or brown leathers, and that in-the-middle color also means it can be worn with brown dress shoes and a brown belt. 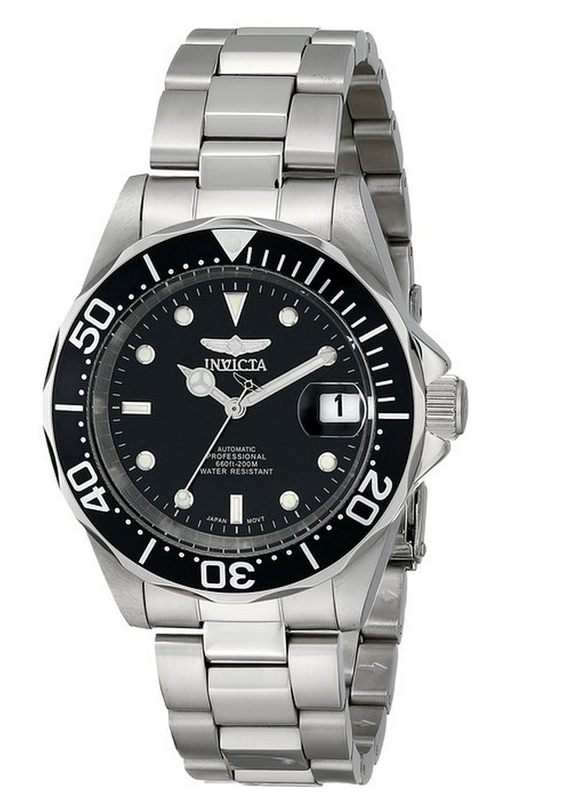 Mimicking the classic Rolex Submariner, the Invicta Pro Diver is affordable, versatile and durable. In my own personal collection, the diver has worked wonderfully with everything from T-shirts and jeans, blazers and chinos and a light grey suit. Lots of color and pattern for not a lot of dough. While some would rule out Express when building a well-curated wardrobe, it’s an often-overlooked starting point for crisp, well-fitting dress shirts and even other pieces (as long as that pesky logo stays out of the way). Namely, socks hit the sweet spot at Express — while a bit much at $10.90 per an individual pair, bundling through their frequent sales can net as many as four pairs for $25. That’s a pretty good deal when you look for pairs in versatile (yet fun) colors that can complement pieces already in your wardrobe. They offer a couple different options, too — some marled dress socks, a zany plaid pair or a more traditional Argyle pattern all definitely work here. Both wallet-friendly options that will fight the cold. The truth is, not everyone needs cold-weather gear (and if you’re one of those lucky people, good for you!). For the rest of us who need to bundle up against a vicious polar vortex at least once a winter, staying warm is essential. 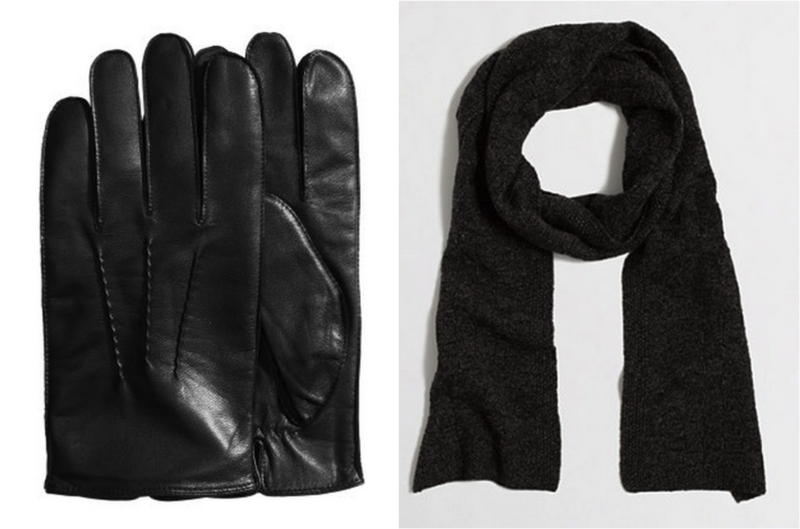 There are definitely ways to splurge on fine gloves and scarves (look no further than MR. PORTER’S website, for example). However, there are definitely ways to save money, too. H&M’s leather gloves, while perhaps on the slightly-thin side, are one way to keep some money around for a potential upgrade later on. Up top, you could add in an extremely affordable beanie cap as a finishing touch. And as far as scarves go, one reliable option that would be a step up over H&M is J. Crew Factory. Featured earlier in this budget series, you can get a neutral-colored knit scarf for under $25 when on-sale, a far cry from other, significantly less affordable options. When factoring in all the necessary accessories you might need to build a basic (and functional) wardrobe, that brings today’s total to $435. Across the entire four-part series, that brings the overall total to $1,285 (so the $1,300 Budget Challenge is in effect for next year!). As with the other parts in this series, the total here is substantially more than last year’s overall recap. However, this year’s series is much more inclusive, more category-driven, and more focused on season-specific pieces, like gloves, a scarf and an overcoat for the fall and winter months. It’s also worth noting that all of these pieces don’t have to be bought at once — in fact, your wardrobe should be replenished gradually over time. Additionally, these pieces are exceptionally versatile and should last for multiple seasons — granted, they won’t last as long as long as major investment pieces might, but sometimes, buying a piece at a lower price gives you more time and motivation to save up for a larger splurge down the road. We can’t all dress on James Bond’s budget, but you can steal similar looks for lots less.